Shade Tree Micro Aviation (STMA) is offering 25% off on all their X-Plane aircraft, this weekend only. 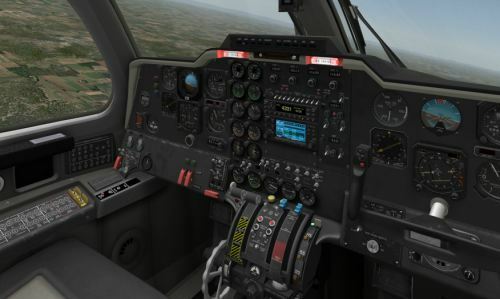 Vertical Reality Simulations (VRS) has posted a status update and several screenshots from TacPack for FSX. UK2000 has posted new preview images from Newcastle Intl. Airport (EGNT) for FSX and FS2004. View the video from Orbx Diamond Point Airport (2WA1) and Olympic Field (WA45) for FSX on YouTube. Orbx has posted a few more preview screenshots from the upcoming Diamond Point Airport (2WA1) for FSX. 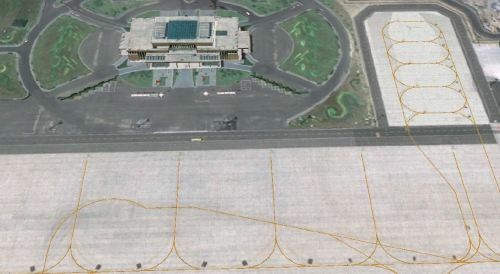 Baja Sim has posted more preview pictures from the upcoming San Jose del Cabo (MMSD) for FSX. - Pilot can become visible when the aircraft is parked in a stiff headwind: fixed. - erratic fuel lever animation when aircraft is over-throttled with a cold engine: fixed. 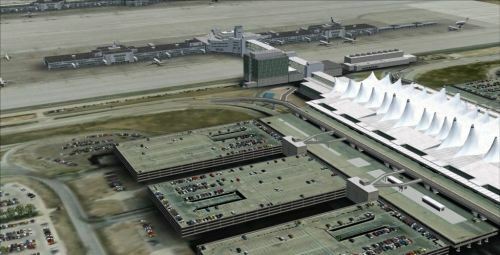 ImagineSim has released Denver Intl. Airport (KDEN) version 2 for FS2004 (for FSX coming soon). Supression Flight has released 'Ultimate Live Effects' for FSX and FS2004, now available at SimMarket. 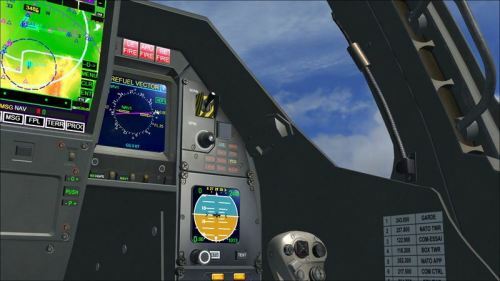 Nemerth Designs has updated the Agusta A109 for FSX to version 1.01. Download at Nemeth Designs. - The manual startup sequence can now be performed correctly in accordance to the Operation Manual. - The XFEED function on the fuel system now works correctly. - The measure on the DME now shows MHz instead of KHz. - NR doesn't drop below zero after shutdown. Max Kraus has posted several preview screenshots from his freeware Mauritius Intl. Airport (FIMP) for FS2004. AivlaSoft has updated Electronic Flight Bag (EFB) to version 1.31 SP3. More information at the AivlaSoft Website. Aerosoft has posted more preview renders from the upcoming Keflavik Airport (BIKF) for FSX and FS2004. Skysoft Simulation has posted new development pictures from Beijing Capital Intl. Airport (ZBAA) for FSX and FS2004. 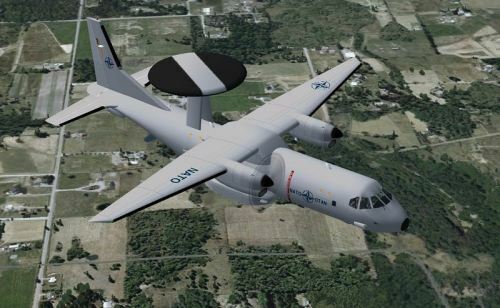 Premier Aircraft Design has released the freeware CASA C-295AEW twin-turboprop military aircraft for FSX and FS2004. 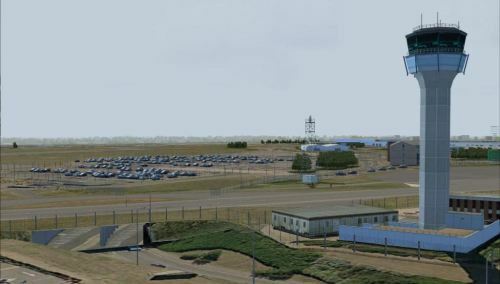 Blue Sky Scenery has released the freeware Fallon Naval Range South, Gabbs (KGAB) photo scenery for FSX and FS2004. Gavin Melgaard has posted his Ilyushin IL-76 Antarctica Operations Video on AVSIMrus. X-Scenery has posted another screenshot and development video from the Mitsubishi MU-2B X-Plane version 1.5 update. Classic Jet Simulations has posted another test video from the upcoming F-16 for X-Plane on Vimeo. X-Plane Flight School has added the lesson "X-IFR3 - VOR Tracking" in the X-Plane.org Forums. 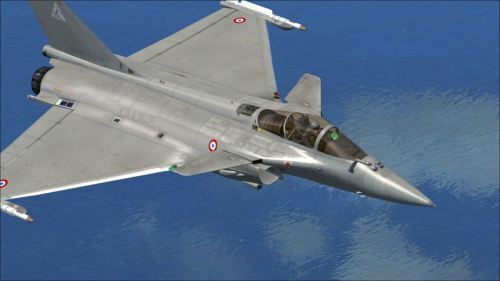 Roland Laborie has released the Dassault Rafale multirole fighter aircraft for FSX. Purchase at SimMarket. Orbx has posted more screenshots from the upcoming CityScape Canberra for FSX in the Orbx Forums. Thai Creation has posted new screenshots from Ho Chi Minh City (VVTS) for FS2004 in the FSDeveloper Forums. Carenado has posted the more previews from the soon to be released Cessna CT210M Centurion II for FSX. Aerofiles has posted a video from the beta of Billund Airport (EKBI) for X-Plane on YouTube. 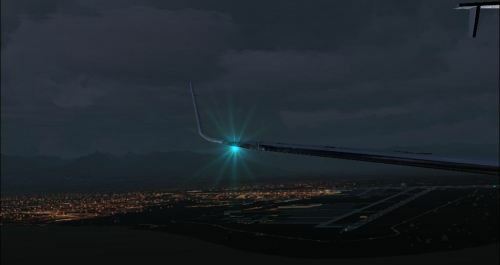 Sagga Toure has released SP1 to his Freeware Kobe X (RJBE) Airport for FSX. Download at AVSIM. Precision Manuals Development Group (PMDG) has posted more livery previews from the upcoming 737NGX for FSX. Coolsky has posted the first pictures from the cockpit of the upcoming Douglas DC-9 for FSX. Orbx has updated their scenery libraries to version 110614. Download at the Orbx Support Website. - Many new objects to be used in CRM, 2WA1, YPMQ, NZSI etc. 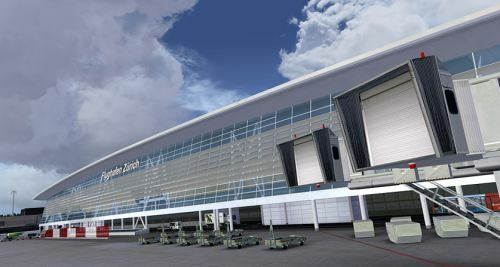 FSDreamTeam has announced development of the version 2.0 upgrade to Zurich Airport (LSZH) for FSX and FS2004. 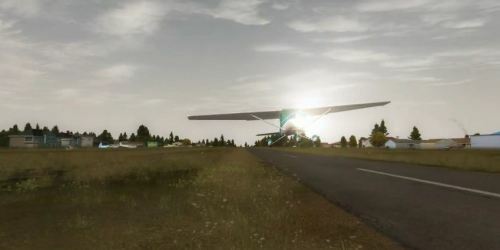 Eiresim has posted new preview pictures from the upcoming London Luton (EGGW) for FSX and FS2004. 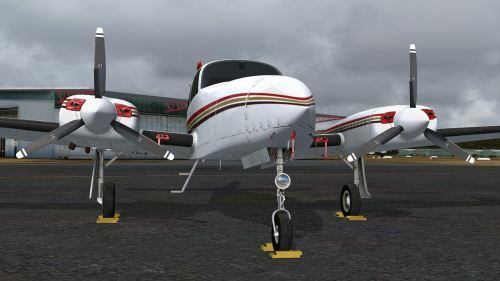 The MilViz Cessna C310R for FSX is now available to purchase at SimMarket. 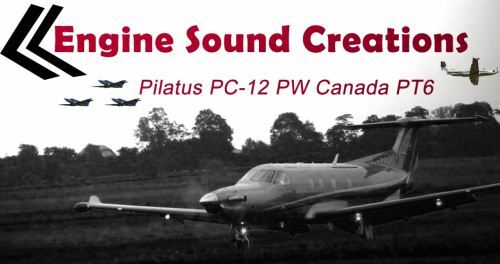 Engine Sound Creations has released the Pilatus PC-12 PW Canada PT6 Soundset for FSX and FS2004 at SimMarket. A promo video dedicated to OZx freeware sceneries for Australia and around the World has been posted on YouTube. Orbx is offering a 15% off pre-pay special on Diamond Point (2WA1) and Olympic Field (WA45) for FSX. - bug in fuel consumtion fixed that caused the fuel to not burn correctly when either of the 5 tanks is empty. - extended gear angle corrected. - roll on rudder input corrected/reduced. - slat interaction/ low speed handling and stalls improved. - parser error in RTM version caused an over-sensitive rudder response: fixed. - reversed propeller blade animation: fixed. - aux tank fuel content too low: fixed. - static aileron and rudder trim dissabled. Aileron and rudder trim can now be performed with the keyboard or other controller devices. Some users experienced roll issues with certain controller hardware. However, for a realistic experience we still recommend to fly with neutral aileron und rudder trim settings. Aerosoft has released more preview screenshots from the upcoming OV-10 Bronco for FSX in the Aerosoft Forums. Michel van de Mheen has released his freeware Soesterberg Air Base/Camp New Amsterdam (EHSB) for X-Plane. Simulation Data has posted more preview comparison screenshots of TRUElandscape France for FSX in the Forums. LatinVFR has updated the Lima Jorge Chavez Intl. Airport (SPIM) scenery for FS2004 to version 1.2. LatinVFR has posted the first preview images from the upcoming Key West Airport (KEYW) for FSX and FS2004. A_A Sceneries has posted the first image from Samui Intl. Aiport (VTSM) for FSX on the A_A Sceneries Facebook Page. Freeware Ant's Aussie Brisbane Intl. Airport (YBBN) version 1.01 for FSX has been released at OZx. Angelo Tassoglou has released his Ioannina City and Surroundings photo scenery for FSX. Download at AVSIM.